I am very fortunate that I have some crazy talented friends. I’m so excited to post about Ashley and Amber, the creators of The Hall Girls~ Bows, Tutus and Everything Girlie! Together they make bows, tutus (duh), headbands, wands, etc. They have a huge selection to choose from and make custom items too (think holidays, sports teams, college themes and perfectly matched to any of your kiddo’s outfits!). And they are very generous to offer a giveaway to The Goon Room readers! But first, a preview. I won the BTEG “Favorite Halloween Costume” contest and recieved this adorable Halloween wand for Ms.B. I think our last name played a roll in winning…we taught Bay to say “boop!” and tap your head with the wand. She’s smitten. 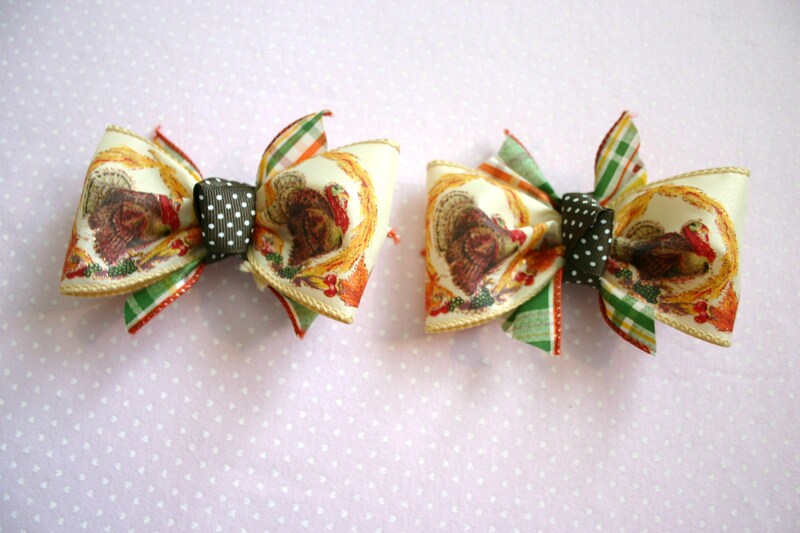 So here’s the best part: Ashley and Amber are giving away two Thanksgiving themed bows!! All you have to do is check out The Hall Girls~Bows, Tutu’s and Everything Girlie’s etsy shop and then comment on this post what your favorite item is. Bonus points if you visit and like their Facebook page. The winner will be chosen by Random.org on Thursday 11/10/11 at 5pm MST (or whatever timezone Arizona is now). Look how cute! Who new turkeys could be so adorable? 2. Check out all the fun things Ashley and Amber have to offer. 4. Make a comment on this blog post about your favorite item. 5. Win! One winner will be chosen at random on 11/10/11 at 5pm MST. 6. The winner will be announced on Friday 11/11/11 on The Goon Room. That’s it! Go! Browse! Comment! Win! Their stuff is so lovely! I think my favorite is the primary color polka dot bows. Very vintage and my seven year old step daughter LOVES polka dots. So so cute! Goodcopmom, I have Lots of of new Christmas bows comming up. Think POLKA DOTS. I really do think polka dots are my favorite ribbon. & Ashley Thank you, I also LOVE polka dots & that primary color bow. I agree, it makes me think of a bow I might have worn when I was a little girl and at age 30 YUP that would make it Vintage, not old, just Vintage. He he. I am in love with the zebra bow! It is very cute. I also need to talk to you sometime for some custom bows and tutu. I’m usually not much of bow person, perhaps because my 20 month old refuses to wear them, but these are really gorgeous. They have a vintage feel to them that I really like. And, conveniently, my two favorites are the Gobble Gobble bows and the Golden Thanksgiving bows! I’m a sucker for a cute turkey print! Christiane, I say keep at it with her & eventually she will be bringing you bows to put into her hair. I have 3 girls, 3 1/2, 20 months & 4 months & I have always put bows into their hair & so far both my older girls ALWAYS went through a pull the bow out stage. Recently my 20 month old decided she wanted to be like her “sissy” and now will not leave the hosue with out a bow. I am glad you like the bows & I agree that the Holiday, especially Thanksgiving bows are super fun! 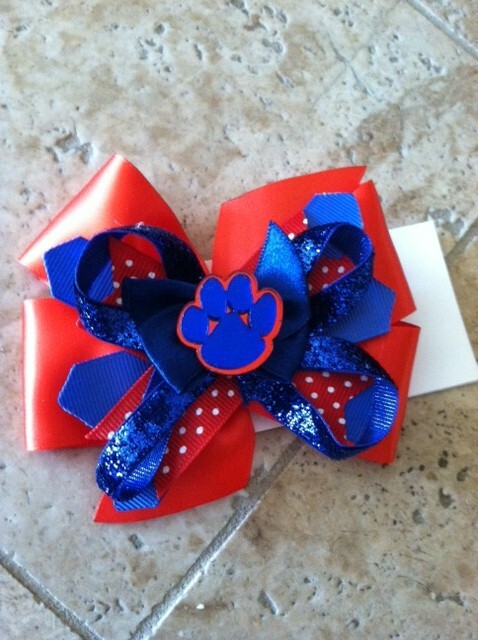 I love the fall bow! Oh, I am jealous! If my house wasn’t so overrun with boys I’d be shopping there for sure! The Etsy shop looks great, girls!! My favorite is the Fall felt critters bow…very cute 🙂 Also a fan of their FB page. Great job Ash! LOVE the leaf bow. So creative. My second favorite is the red and white snowflake. Very pretty for winter. Okay Miss Ashley, I love all of your stuff. My favorites at the moment are the Yellow beauty and full white flower clips. I am a big flower girl! 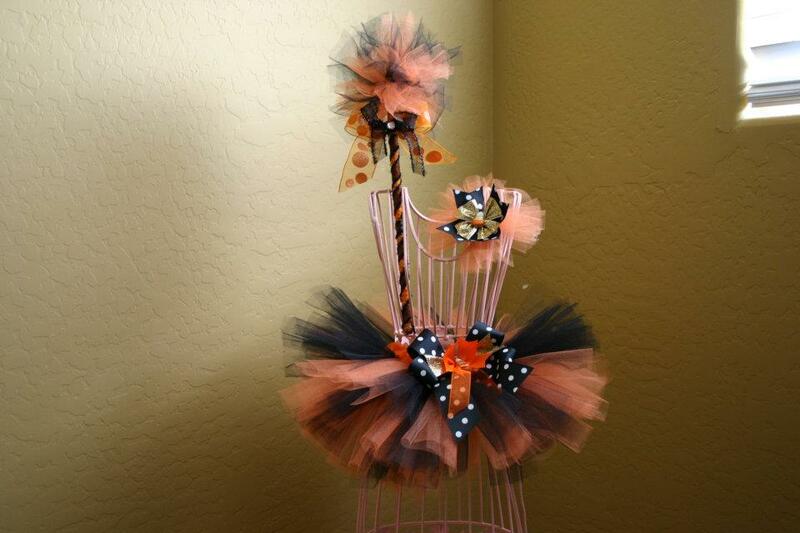 I LOVE the Doll Head Bow Holders, There are so many bow holders out there, but this was always my favorite! I can customize it to match your child hair & skin color too!